The Managing Director of the Federal Airports Authority of Nigeria (FAAN) Engr. Saleh Dunoma, today, visited the Sam Mbakwe International Cargo Airport, Owerri. 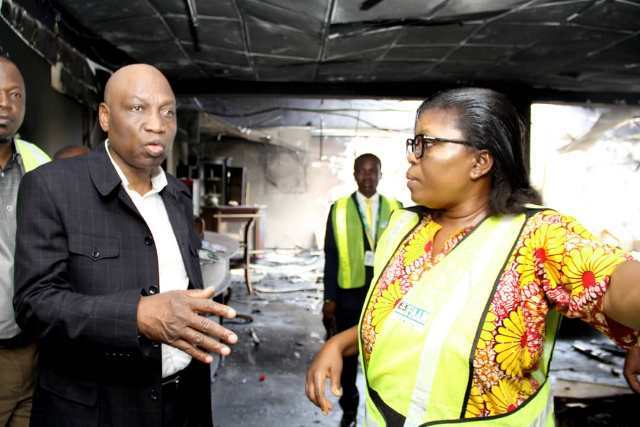 The visit according to a statement signed by thye General Corporate Affairs, Mrs. Henrietta Yakubu, said the visit followed the recent fire incident at the airport. 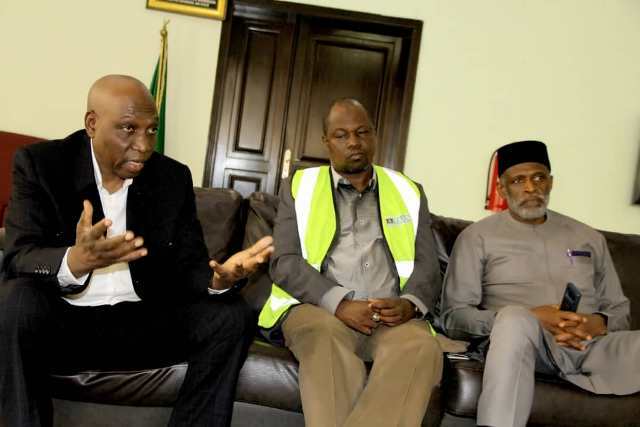 This visit was the second of such from the management of the authority in two days, as the Director of Engineering Services of FAAN, Engr Salisu Daura had earlier led a team of Management staff to the airport on April 10, 2019. The statement said that the Managing Director on arrival went straight to the scene of the incident to see for himself the extent of damage caused by the fire,. He was joined by the authority’s Directors of Engineering Services, Human Resources & Administration, Commercial & Business Development, General Managers, Civil & Building, Safety as well as the Airport Manager and her team. Expressing his delight that there was no casualty in the incident,Dunoma noted that Zenith Insurance has conducted the evaluation of the damage and has agreed to pay the claims in full. He added that FAAN will do all within its powers to ensure that the airport is renovated as soon as possible, so as to ameliorate the inconveniences the incident may cause airport users. He also thanked the Air Force Commandant, the Divisional Police Officer, Owerri airport command and their team for the role they played during the incident. 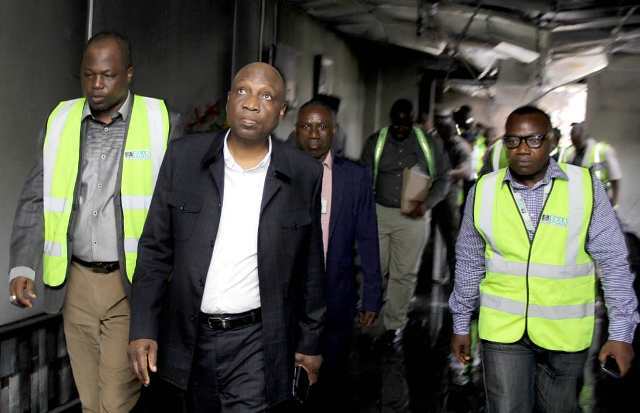 The FAAN boss stated that a committee had already been constituted to inquire into the remote cause of the incident, advising Airport Management to continue to engage the host communities and other stakeholders collaboratively in the interest of all. Be the first to comment on "Inferno; FAAN MD Visits Owerri Airport"